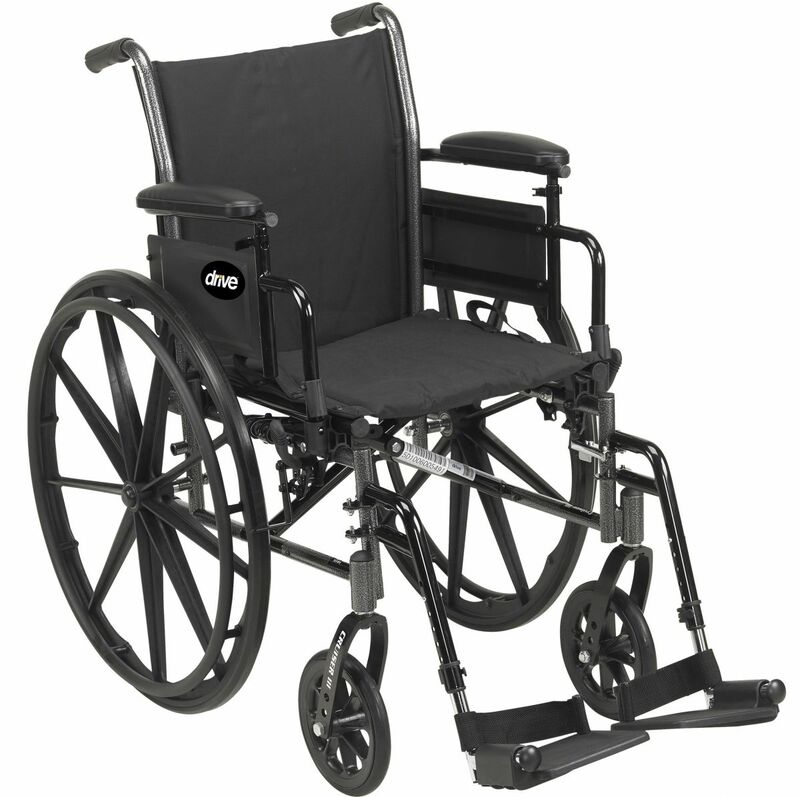 Built-in seat rail extensions and extendable upholstery easily adjust seat depth from 16" to 18". Weighs under 36 lbs (excluding front riggings). Carbon steel frame with silver vein finish. Removable flip-back arms allow for easy transfer. New frame style eliminates seat guides and allows for custom back inserts and accessories. Nylon upholstery is durable, lightweight, attractive and easy-to-clean.